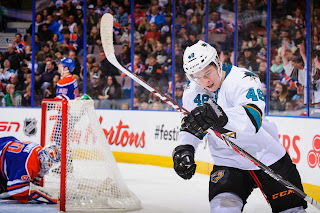 Greycliff's Chronicles: Thre's no crying in hockey unless you lose to the San Jose Sharks! 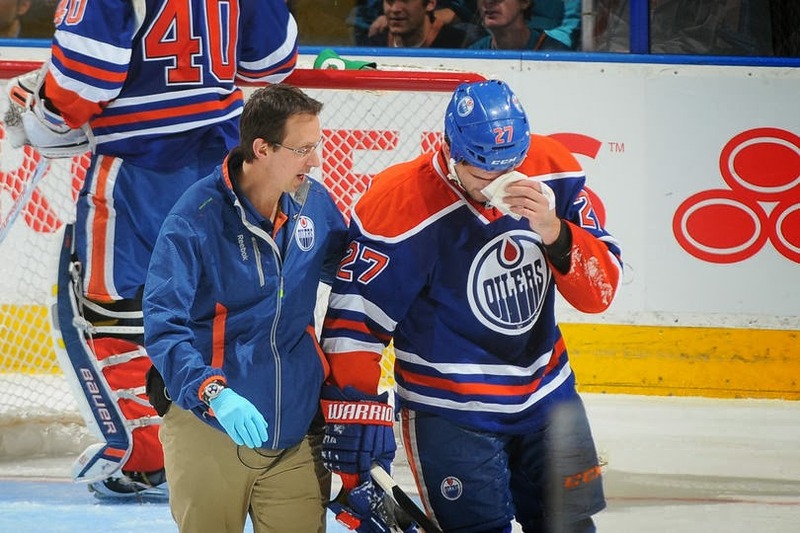 Thre's no crying in hockey unless you lose to the San Jose Sharks! Looks like San Jose has found their way off that little shortcut and are now back on the road to winning. As of last night, the boys of winter are one point below Anaheim for the top seed in the Western Conference. As much as I, and every other Sharks fan would like to see a perfect season, we all know that is almost impossible. We'll take the few losses and the OT losses for those points. Hey guys, now's the time to hit the bumps & potholes. It's better now than later in the season. 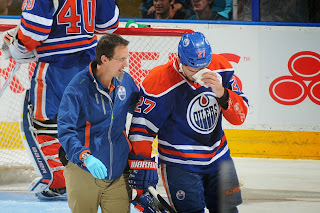 Hey Boyd Gordon, it's okay to cry when you've been bowled over by one of the San Jose Sharks. A sweep of the west Canadian series was awesome. The only concern is the second period play, but in the end the 'W' on the score board was all that counted. Stalock is proving to be a solid back-up to Niemi. Tomas Hertl continues to work magic scoring goals: man that kid can move the puck! Dan Boyle has found his legs, and the net, since returning from his injury. The big guys: Marleau, Pavelski, Couture, Vlasic, Wingels, and Demers are shooting and scoring. Last night's game had the potential to be a high-scoring tally on both sides but for lucky (and unlucky posts). Is it possible the Powers That Be have decided to watch over the Sharks? Is this their year? If so, the biggest obstacle between San Jose and the Stanley Cup is the team. Confidence in their abilities and remembering to play their game is the biggest challenge. In the previous game on Friday, verses the Vancouver Canucks, tenacious Dan Boyle had the winning goal in overtime. He knew the puck went in and he celebrated while the refs went to a goal review. See the video link below. When San Jose came out swinging at the start of the season, taking shots instead of passing, they won more games then they lost. The team was ranked in the top three in most of the stats. They had players in every category of the top thirty rankings. Domineering other teams, they didn't allow opposing players to even get shots in the first place, much less try to set up plays. The 'loosing streak' that type of play was missing. I saw more passing and more time spent in their own zone. These last couple of games, the trend is starting to get back to what they did in October. More of the 'in your face' Sharks play. That was apparent by the silence of the Canadian crowd, except for the occasional 'boos'. As always, the guys do like to keep us guessing. Here's to another win from the guys! Go Sharks!!!!!! !